Swimia.com wants your feedback on Aquagym in The Hague to ensure all of the information about swimming in The Hague is valid. 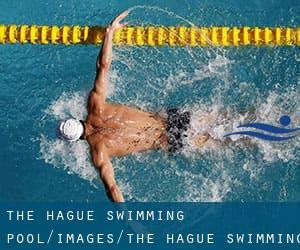 The finest choice in the course of your visit to The Hague is going to be droping by a The Hague Pool. We probably do not know all the Pools in The Hague. Are you missing any? Contact us!. Thanks to some new pools submitted by swimmers like you, Swimia.com is increasing within the every day quantity of stored pools. Please don't hesitate to get in touch with us when you discover any The Hague Pool with inaccurate or incomplete information. 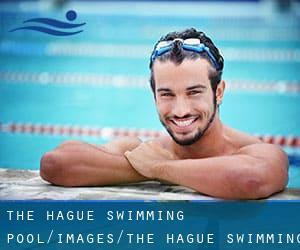 Regular users of the following varieties of The Hague Swimming Pool told us probably the most vital thing about swimming is always to control your breathing. From time to time this is not achievable due to the fact we raise the neck to breathe and the body isn't aligned. To avoid this, our head should be aligned with our spine all the time. Please contact the sports center in The Hague to check which activities are becoming offered and their timetables, because varieties of The Hague Swimming Pool may perhaps have unique rules and fares than other places. Updated on 2019 Thorbeckelaan 350 , The Hague (Den Haag) , NETHERLANDS (Postal Code: 2564 BZ). Swimmers like you reported 25 meters x 15 meters, Indoors. Unfortunately we do not have the email address of this Pool, but we can provide you with the phone number. Updated on 2019 Mr. P. Droogleever Fortuynweg 59 , The Hague (Den Haag) , NETHERLANDS (Postal Code: 2533 SP). Swimmers like you reported 25 meters x 15 meters, Indoors. Unfortunately we do not have the e-mail address of this Swimming Pool, but we can give you the phone number. Updated on 2019 Seinpoststraat 150 , The Hague (Den Haag) , NETHERLANDS (Postal Code: 2586 HC). Among all of the activities supplied by the center, if you are keen on swimming you will take pleasure in 25 meters, Indoors. Just in case you would like to contact this Pool prior to dropping by, we only know the phone number. Updated on 2019 Vlaskamp 3- 5 , The Hague (Den Haag) , NETHERLANDS (Postal Code: 2592 AA). Swimmers like you reported 25 meters x 15 meters, Indoors. Unfortunately we do not have the e-mail address of this Swimming Pool, but we can give you the phone number. Updated on 2019 Hobbemastraat 93 , The Hague (Den Haag) , NETHERLANDS (Postal Code: 2526JG). Swimmers like you reported 25 meters, Indoors. Unfortunately we do not have the email address of this Pool, but we can give you the phone number. Enjoy the best indoor pools in The Hague and don't worry about the weather. These facilities are open all seasons and you can enjoy a swim at the same temperature every day of the year. One from the advantages of outdoor swimming in The Hague may be the possibility to sunbathe during the summer time season. Taking it with extra care, sunbathing is healthful considering that introduces Vitamin D into the body, so the perfect alternative seems to be switching between indoor and outdoor pools based on the season. There are several factors why you'll want to choose a heated swimming pool in The Hague. Essentially the most important one relies on the importance of keeping the body temperature stable. If the water is as well cold, your body will try to warm it up and you will shed strength to swim effectively.